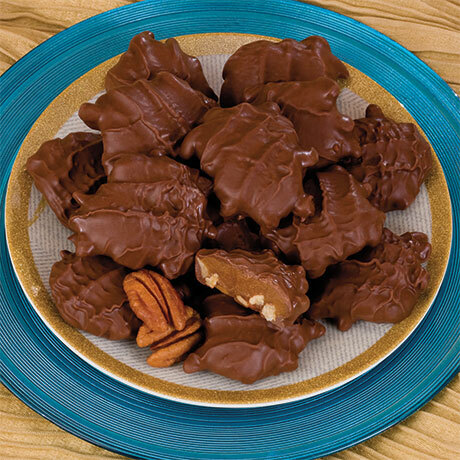 Pecans covered with fresh caramel, then drenched in creamy milk chocolate. 7-ounce box. Please note: Shipping may be delayed until temperatures drop below 80 degrees.